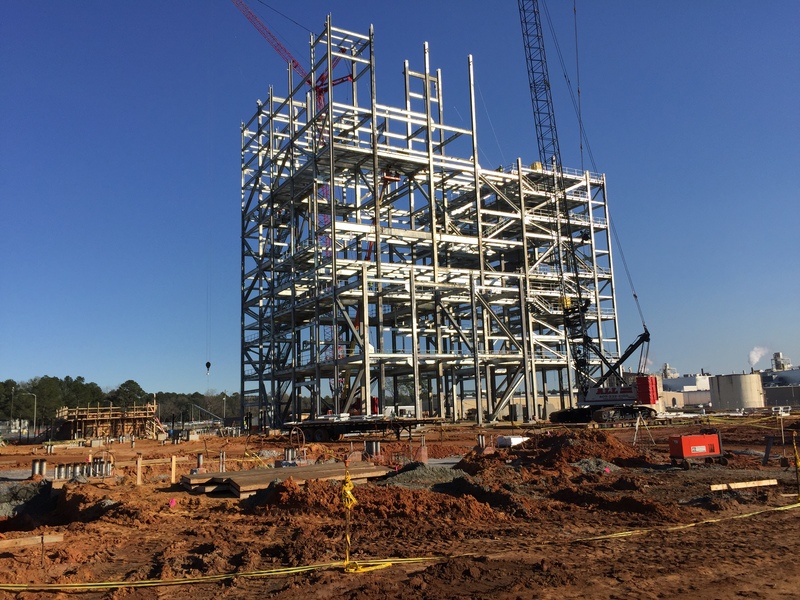 Procter and Gamble Biomass Facility | Dublin Construction Co., Inc.
Albany’s Procter and Gamble will provide a much needed renewal energy for the plant as it strives to make its operations more environmentally friendly. The addition of the $200 million Energy Co-Generation Plant will allow Procter and Gamble (P&G) to move toward its goal of becoming more energy efficient and reduce its environmental footprint. The plant will operate by taking waste products, such as timber remnants and peanut shells that might otherwise be left on the forest floor or taken to a land fill, and turning those into energy and heat sources. Dublin Construction is installing the heavy foundations required for the facility including elevated slabs, turbine pedestals, and other precise foundations.